Sometimes it’s just unlucky that you’ve spent loads of money, time planning and daydreaming the perfect Walt Disney World vacation only to wind up sick. That’s right. SICK. 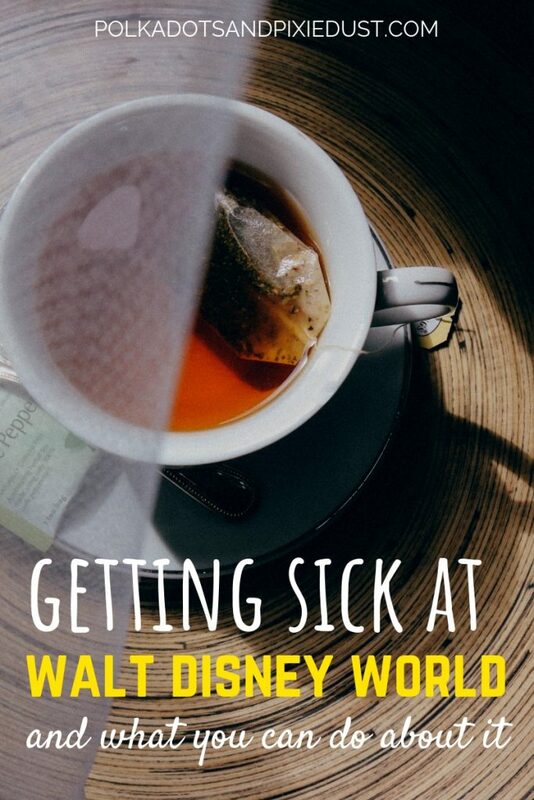 Getting sick at Walt Disney World happens to both kids and adults alike. And lets face it, sometimes you just have to give in. But what about all the fast passes? What about the restaurant reservations? What about the fact that this was supposed to be the most magical vacation ever? From migraines, to cramps, to stomach bugs, to throwing up we’ve seen, and had, it all. It’s not pretty, but you can get through it. Here are our best tips for what to do when you or the kiddies get sick at Disney. You may think that getting sick at Disney isn’t something that will happen to you or the family, but think again. Even our best advice of loading up on Emergencee the week before your Disney vacation won’t guarantee you don’t get sick. But I never get sick, you’re thinking. Us too. We hardly ever get sick. EVER. But here’s the thing; a Walt Disney World vacation brings all sorts of things front of center that you don’t have in your regular life. We don’t want to tempt fate, but lets list them, shall we? And of course my favorite reason people get sick on vacation … your body is finally signaled to stop stressing from your crazy job/ life and allows you to get sick because you’re on vacation and you have “time” to be sick without missing a real work day. Crazy, but true. Your brain doesn’t like problem solving a work day missed because you don’t feel well… but a vacation day- well that’s no big deal. How often has that happened to you before? It’s not the end of the world. True, it may feel like it but IF you can talk yourself or the kids into just taking it easy, chances are recovery will be close behind. Here are some basic things to realize ahead of time. If you or the kids get sick while in the parks, you can count on first aid stations at each one to be equipped with people who can help and let you know your best course of action. Whether its going to the doctor, or returning to your resort to rest a bit, they’re prepared to help with most concerns. Find a cast member and they’ll lead the way. If your sickness is really bad and you’re thinking you may need a doctor, call the front desk. They will send someone over and give you advice as to whether a hospital visit or a trip to the Florida Hospital Centra Care Urgent Care Centre is a good idea. Disney offers complimentary transportation to medical centers off site, so you will be good hands. You can even get your medications sent to the pharmacy Disney works with at Turner Drugs. Just call the front desk. But What About Your Magical Vacation? A sick person or two doesn’t have to mean everyone in the family or travel group suffers. While not feeling well is bad, being the reason your family misses a Disney vacation is worse. Send the healthy ones off to the rides, restaurants and shows as planned. The quiet time at the resort will no doubt be the extremely welcome restful vacation you always wanted anyway. Resort Concierge and Room Services are alive and well. Use them. If you didn’t bring medicine or can’t tote your child up to the gift shop to fetch your drug of choice, call the Concierge. They are there to help. A quick call to the front desk could have medicine, heat packs, ointments or whatever delivered right to your door. While many of the resorts have teas and coffee in the room, if you’re in need of a hot drink, something with honey for a sore throat, or something spicy to help clear a sinus infection, order it in. No point in dragging yourself or your child all over the place. Have it delivered. Order in a Chicken Soup. Once the front desk is alerted that you or the kids aren’t feeling well they do everything they can to “fix” the situation. You can request the kitchen to make something to help settle your stomach, soothe your throat or bring around a jello if there’s trouble keeping food down. Whether its you or the kids, there’s nothing like a hot shower or bath to relax your muscles. The heat can clear up your breathing and make you feel slightly better. While hotel and Disney resort rooms aren’t large to begin with, just allowing yourself to get into bed and cozy up will allow you to relax instead of worry about not making the most of your pricey vacation. Sleep if you want to or need to. The more opportunities your body has to relax the faster you’ll recover. Amazon Prime, Amazon Prime Now, and everyone else who delivers. Amazon Prime Now is a godsend in Orlando, Florida with delivery in as little as 2 hours for many staple items readily available in their warehouse. So whether you’re buying medicine, ordering orange juice, a book or a humidifier, chances of it getting to you fast are pretty possible. Here’s a quick tip. When using Amazon Prime Now, be prepared to get the luggage services desk on the phone shortly after your items have arrived. The package will get buried in the luggage department if you wait too long. You can also instruct delivery direct to your room- which also sometimes works. Disney does have a more seamless delivery process for anything coming from FedEx or UPS so if you’re ordering groceries, you can call the concierge desk to have things delivered to your room. Now you may be thinking that since you or the kiddies are sick life is terrible and this will be the worst vacation ever. Let us try and change your mind about this. If you’re the unlucky one, you obviously really needed a vacation, which is probably why your body chose to get sick at this particular time. If your kid is the sick one, know that you can still make this a somewhat magical experience, even without leaving the room. We speak from experience here. As annual pass holders we’ve come to realize that there are infinite magical moments at Walt Disney World, and believing we have to make the most every second is a mindset of our past. So we’ve learned a few things about being sick and stuck in a room at Walt Disney World. Sleep: Not as glamorous as the other things on this list, sleep will be the #1 most important thing you can do when you’re not feeling well. If you’re trying to talk yourself into it order a pair of pajamas or a sleep mask from the gift shop to make it more appealing. Sleep is a must do if you’re battling a migraine. Watch Your Favorite Shows: You finally won’t have to feel bad about binge watching something, or letting the kids watch all their favorite cartoons over and over. While we’d love Disney to have a amazon prime/netflix/hulu/vudu login setup on their TV’s, they are not quite there yet. We recently ordered an HDMI cord so we could login to amazon prime on our laptop and hook the computer to the TV. It was a sick day for us that had us craving season one of Wizards of Waverly Place, so we ordered a cord from Prime Now and got it in 2 hours. 9 episodes later, we were happy campers. Drink Tea: If you’re not a tea drinker, you may not know all the amazing medicinal properties of tea. Trust us on this one, a hot cup of tea is perfect for when you’re not feeling well, no matter the age. Read: The Disney gift shops have magazines for light reading or you can buy a book to read on your phone or tablet from Amazon. If you’re not up for reading, feel free to skip this. BUT, if you’re battling anything involving pain, like cramps, reading will take your mind off it, so it could help. Listen to Music: Chances are something calming and relaxing can always be found somewhere on your phone. 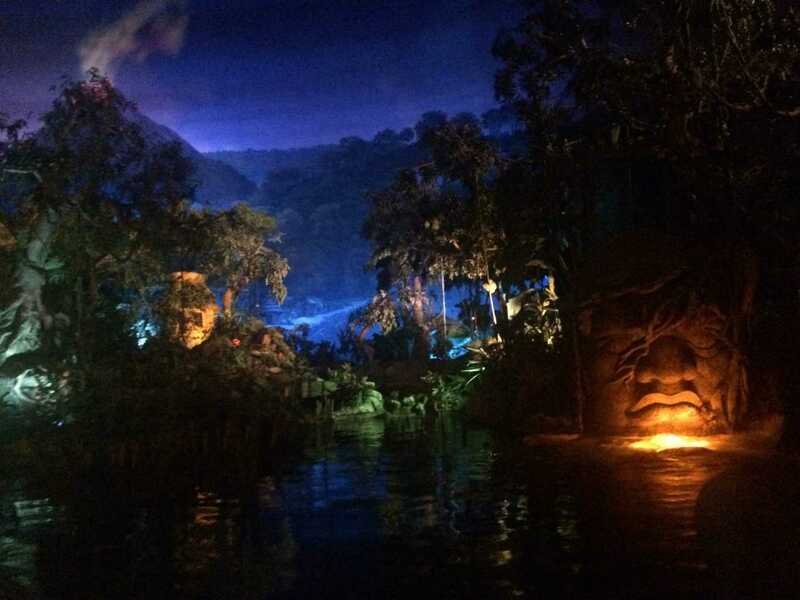 If you’re mourning the loss of being the parks, check out youtube for the Magic Kingdom music loop, the Epcot music loop, the Soarin music loop, the Adventureland music loop and more. Watch Mickey Shorts:Another staple in our arsenal of Disney things. These Mickey cartoons on YouTube are played in the food court at some of our favorite Disney resorts. So if you can’t make the trip to the commissary, you can feel like you’re really there right from your room. No one wants to face the fact their vacation may get interrupted by a stomach flu. But, realizing that these things happen and just accepting there are only certain things you can do helps make this pill a little easier to swallow. Whatever your vacation holds, know that there is plenty of support from Disney staff if you find yourself or the kiddies sick. Hopefully these tips were helpful and can help if you ever find yourself sick at Walt Disney World. If you’ve survived getting sick at Disney let us know your best tips!